What is Black Ghost ISAW? 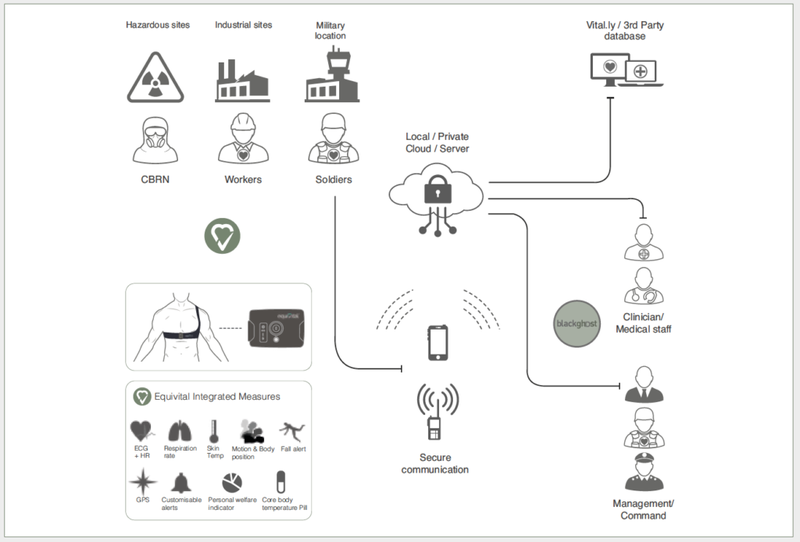 Black Ghost ISAW is a real-time safety, welfare and wellbeing monitoring system designed for use by workers that operate in challenging, potentially hazardous and explosive industrial environments. Using Black Ghost within a hazardous working environment, where worker safety is paramount, allows vital safety and performance information to be tracked in real time during a mission or work task. Rapid therapeutic intervention or rescue can be carried out ahead of time ensuring welfare and productivity are managed effectively. Reviewing personnel data allows for evidence based validation of safe working practices. How Does Black Ghost ISAW Work? At its core Black Ghost ISAW leverages data sent from an intrinsically safe version of the body worn EQ02 LifeMonitor to provide real-time safety, welfare and location information of workers within a given facility. This information is sent using Radio/Satcom/GSM/GPRS/WiFi and can be viewed by key stakeholders locally or remotely. Black Ghost ISAW also integrates other relevant data sources including environmental data, sensor data and subject data to provide contextualized actionable information in real time and during data analysis. The Black Ghost ISAW web service can be accessed via desktop and mobile devices ensuring ease of use and anytime access. The web service can include customized data sources and bespoke real time and analytics dashboards tailored by user type. Black Ghost ISAW can use the IECEx, ATEX, Class 1, Division 1 classified EQ02 LifeMonitor. The system provides real time worker health monitoring with automated alerts for indication of events. Capability for integration of workflow management as required. Local and remote access to real time facility information with multiple levels of stakeholder access. Deployed in line with an organisation’s standard operating procedures. Black Ghost can use a variety of different communications medium including GPRS, WiFi, Tetra and other proprietary communication methods to create a real time online or private network. Black Ghost can be deployed locally within an organization’s secure network or can be cloud based. Compatible with a variety of communications medium. Configurable deployment architecture, multi-site architecture with centralized monitoring, multi-tiered user access controlling available features and functionality. 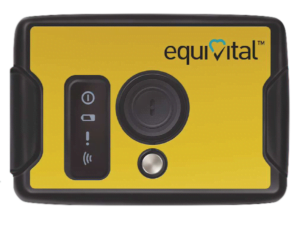 The EX EQ02+ is the new body worn sensor for use in hazardous environments from the Equivital LifeMonitor range. It is designed to work seamlessly as part of the Black Ghost system deployment. The EX EQ02+ measures clinical grade cardiorespiratory, temperature and activity data from mobile people. Data is stored on the sensor and can be transmitted wirelessly for viewing on a mobile phone or computer. It is ideal for monitoring human physiology in hazardous environments. Typical applications include military training and deployment. hazardous area first response and CBRNe. ATEX, ETL and IECex marking: The only body worn physiological monitoring device that you can safely wear in explosive environments. Combined heart rate and breathing rate data: Monitor for heat related illness and effects of noxious gases. Body position, motion and falls monitoring: Know in real time if your team member has suffered an injury or collapse. The LifeMonitor comprises 2 elements; the Sensor Belt and the Sensor Electronics Module (SEM). 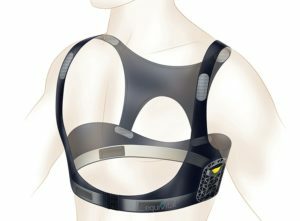 The sensor belt features los profile sensors embedded into a biocompatible fabric. The SEM docks into a cradle on the left hand side of the sensor belt where it processes, stores and transmits physiological data. The SEM slots in to the low profile belt cradle and it’s LEDs, visible when worn on body, provide status information including transmission, power and external sensor connections. It has rechargeable Li Polymer battery which takes approximately an hour to reach full capacity. The SEM includes medical grade infra-red thermometer and tri-axis accelerometer. All data is store on an integral 8GB SD card, allowing retrospective data download and analysis.